Back pain is something that you will deal with at multiple times in your life. However, it is important to know when it’s time to seek back pain and sciatica treatment. The usual sign of sciatica is the radiating pain that begins in your lower back and moves down the nerve pathway through your buttock and thigh. Luckily, most people who experience back pain and sciatica in their lifetime will have a mild case that usually goes away after time. However, there are a few situations where seeking back pain and sciatica treatment is recommended. One of the most common causes of sciatic nerve pain is a herniated disc in the spine. The sudden stop and start motion of an auto collision can put incredible strain on the back, potentially make the herniation worse. When a disc herniates, it can press against the sciatic nerve in the lower back, causing sciatica pain to develop. If you experience weakness or numbness in addition to sciatic nerve pain, it is important to seek medical care. Another cause of sciatica is stenosis. That means the spaces where the spinal cord and nerves travel get narrower. The nerves that cause sciatic back pain then become more easily pinched, which can lead to permanent nerve damage. It is important to seek medical care if you feel tingling or weakness in your legs with your sciatica pain. 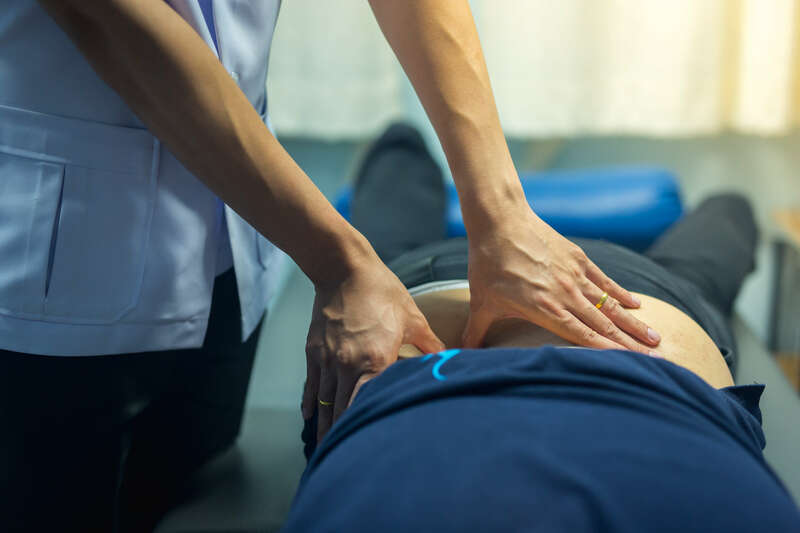 Up to 85 percent of people experience back pain at some point, and many of these people will recover without needing back pain and sciatica treatment. However, if your sciatic nerve pain gets worse over time, it may be time to get medical treatment. Sciatica is a broad category of low back pain caused by trapped nerve. If there is an underlying condition such as inflammation of the spinal joints, permanent nerve damage may result. Specialists in Sports and Orthopedic Rehabilitation is here to help. Our expert staff is trained in a variety of rehabilitation methods designed to help those seeking back pain and sciatica treatment. If you or a loved one suffers from back and sciatic nerve pain, contact one of our staff members today to set up an initial consultation.